Pasternack's Skin Depth Calculator returns skin-depth as a function of a material's resistivity and permeability, as well as the application frequency. You may enter custom values, or choose from a list of commonly used materials. 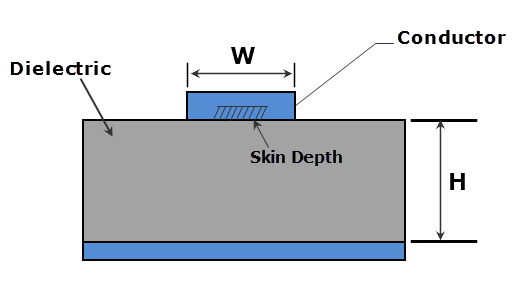 Skin Depth refers to how deeply an RF signal can penetrate a material, which is dependent on the frequency as well as the material's properties. In DC applications, the conductivity is linearly dependent on the thickness of the material, whereas in RF applications, the relationship is logarithmic.